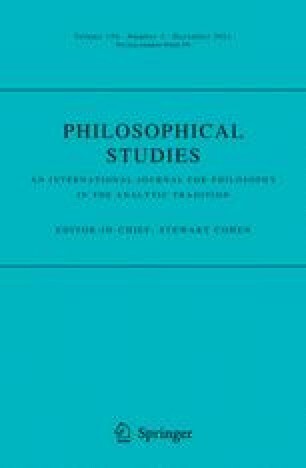 This article reconsiders Kripke’s (1977, in: French, Uehling & Wettstein (eds) Contemporary perspectives in the philosophy of language, University of Minnesota Press, Minneapolis) pragmatic, univocal account of the attributive-referential distinction in terms of a metalinguistic apparatus consisting of semantic reference and speaker reference. It is argued that Kripke’s strongest methodological argument supporting the pragmatic account, the parallel applicability of the apparatus to both names and definite descriptions, is successful only if descriptions are treated as designators in both attributive and referential uses. It is not successful if descriptions are treated à la Russell, contrary to what is often assumed. Thus a third theoretical option for the semantic analysis of definite descriptions arises, neglected by both supporters and opponents of Russell: a univocal, referentialist analysis of descriptions in conjunction with a pragmatic account of the attributive-referential distinction. Contrary to Kripke, and to much of the literature, it is noted that not all so-called referential uses involve implicatures. In the course of the argument Kripke’s innovative apparatus is subjected to improvements and fine-tunings. Also, some general critical comments are made about analogical reasoning, on which Kripke’s argument is partly based. This leads to a clarification of the fundamental notion of speaker reference. The paper concludes with reflections on the challenge to and need of systematic empirical evidence in this field, a desideratum noted by Kripke and still not met. The author would like to thank for comments and inspiration Hanoch Ben-Yami, Timothy Chan, David Cram, Jonathan Dancy, Anna Dimitríjevics, Dorothy Edgington, Michael and Fiona Ellis, Hanjo Glock, Steven Hall, Mike Inwood, Joel Katzav, John Preston, Murali Ramachandran, Severin Schröder, Stephen G. Williams, Tim Williamson, Zoltán Gendler Szabó, and the anonymous referee of this journal.